In mid September we delivered “SULTANA” the PC 662 from Bodrum to St Tropez for the owner to participate in the Voile de St Tropez. We left Bodrum in fabulous sunshine and 25/30 knots on the beam and in the first 24 hours and did 220 miles with the staysail and 2 reefs in the main. Unfortunately the wind and sunshine were not to last and the weather for the balance of the trip to Sicily was fairy mixed. We stopped in Siracusa (beautiful town and friendly people) and then did the trip up to NE Sardinia via Messina. The NE coast of Sardinia was simply stunning and we were sorry not to have more time to enjoy it but pressed onto the very glitsy St Tropez. The Owner had a very successful regatta coming 2nd in the Spirit of Tradition category and with the boat in the main St Tropez harbour she was much admired. 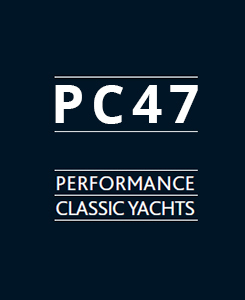 Once the regatta finished a delivery crew bought her back to Bodurm for the winter having completed a 2500 mile round trip and taken it all her stride without issues..
A few images of the stunning PC 662. Here are some early pics of the recent launch and sea trails of the Carbon PC662. There have been a lack up updates but this does not reflect the progress on the boat which continues. The deck is glued and taped on, hull is bulk faired and primed, engine and generator in and we are now well into the interior up the waist height and the systems which have been planned out. She’s got a duel voltage system 220v but ability to take 110v as well as a very neat Webasto aircon system which has an integrated diesel heater. The infused deck came out of the female mould perfectly and is now awaiting fitting to the boat. Progress has been steady with the completion of the exterior laminate and the hull is now bulk faired. The interior laminate is also complete and the bulkheads and structure are now being inserted and laminated in place. Nice job by the yard ! As usual it was a relief to get the Hull turned over and we also had Andre Hoek visit the yard pictured here with the yard owner Bora Kadikoy. The hard yards now begin with the inside lamination and structure and then the interior and systems !! Its been steady progress on the Hull of the 66-2. She’s like a chameleon shes changed color so many times- the Yellow core, the Black carbon which looked rather sinister to a grey and now a sort of pink with the epoxy filling compound ! We expect to turn the hull in January and then it will be full steam ahead with the interior laminate/structure before the carpenters start on the interior. We are simultaneously building the deck in a female mould and expect that to be completed by the end of January/early February. The Coracell M foam core is now complete and the carbon lamination of the outer skin is just starting. Such an elegant hull even upside down ! Its always a happy day when the Jig gets laid out for a new project and we are all very excited about the new PC66-2. 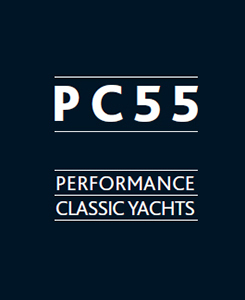 She’s a development of “MAZU” the first PC 66 which is proving herself to be a wonderful boat, rewarding to sail in all conditions, comfortable, safe and such a beaut to look at. 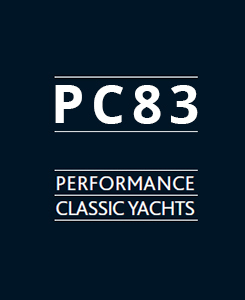 PC66-2 has an Owners cabin forward with 2 cabins aft all with en suites and a crew cabin forward also with its own head and shower. The deck/cockpit is very similar with a few small tweeks, no need to change what is a brilliant design and lay out. Please contact us for the full details. Launch is scheduled for 2nd quarter 2018.